Trivia:Dad is a scientist and he designs rockets and stuff. If You wanna have a great discussion on rocket propulsion and space technology, we have an In-House consultant in place. He Heads the liquid propulsion plant of India. Mrs.Senior is not an architect, neither does she build any houses. But still she is a home maker. 3) Preetha and Johnny. ( Preetha happens to be my Second girlfriend and she is also the first child of the Davids... Johnny married Preetha in 2003 and thus he became my Brother-in-LAW. Talking about law, i flunked in my law paper in my MBA). 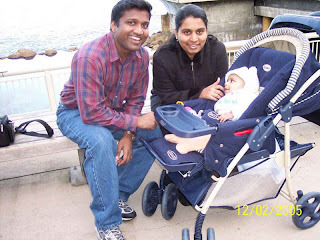 Trivia:Preetha and Johhny are in Sunnyvale,California.BTW, Me and Preetha are siblings. ( Do they sound like some Hollywood characters?... Hold on.. Jeremy is my Nephew and Jolena is his sister and so she becomes my niece).Jeremy will be three this september and Jolena will be three months this August.Did i tell you that Preetha and Johhny are the parents of these kids? More characters will be included in due course of time (apart from Renu and Shabir ). Thanks for dropping by my space ! wat happ to ur previous blog? Nice to have a cast of characters in my head now. The first time i read i never gave any head about the post but a repeat reading makes me think..
What happened of the guy named jammy(whose you are the fan no1 )? I hope u rememebr him and include him in next introduction. Nice intro ther and thanks for dropping by to my blog. sophie: teacher maidam.. how is life? 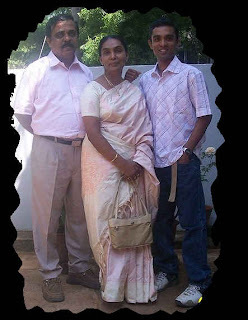 santosh : I am glad that we have a small family. But I still would have been happy if we had enuff resources to represent a full fledged cricket team. priya: anytime.. will keep dropping myself..
:D Me got all those characters straight! Congratulations to me! santosh! I will ofcourse write a full write-up on Jammy; without Him, I would not be here in the first place. Oh MINE !!! I LOVED IT !!! Chriz, that was really sweet !! What a way to overcome that stinking one u had posted earlier !! 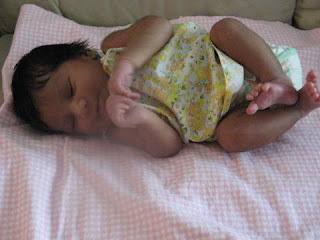 dhanya: after all whose machaa? btw this was a fun post :-) keep up the good work.. OKAY CHRIZ I am confused! hahaha NOT this ..